When I am out on the open road… when I am asleep… when I am travel writing… when I am just vegging out at home… I am thinking about that next cup of coffee. I’ve said it in my posts before and I will say it again now, I just love coffee in all its forms. And a sunset capping off a great caffeinated day. And another. And another. And another… that leads to this quote. 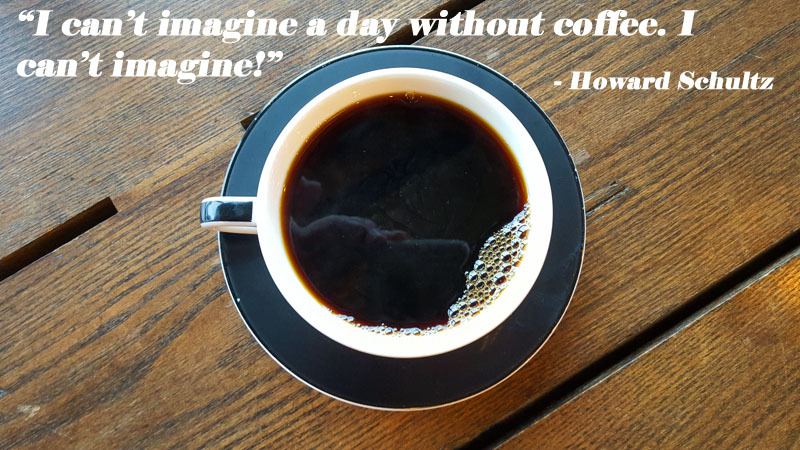 What are your favorite quotes, expressions or sayings involving coffee? 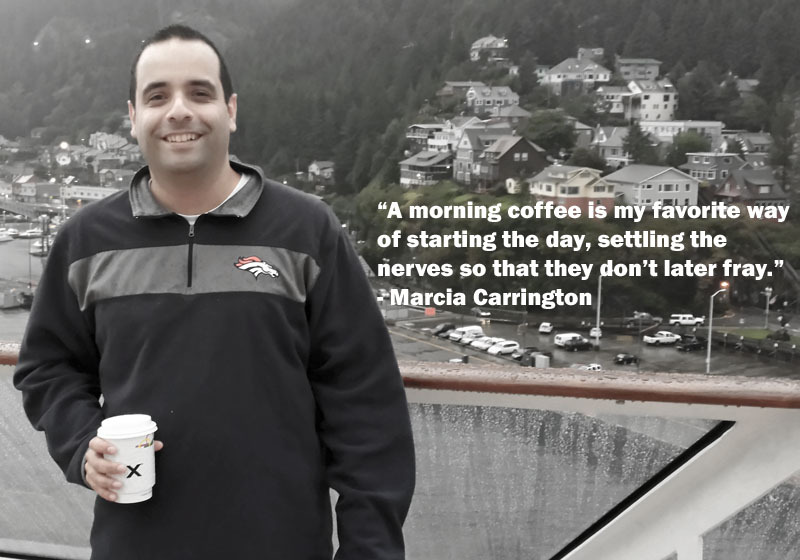 This entry was posted in coffee, quotes and tagged coffee, quotes. Bookmark the permalink. 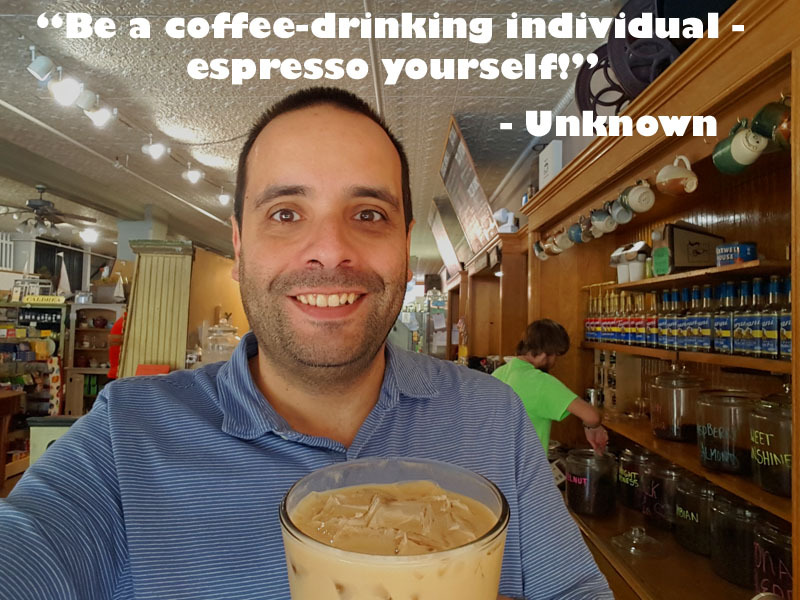 Just came to add the first part of the Jackie Chan quote: “Coffee, like music and movies, knows no barriers.” Love the post, great quotes about a great drink! Haha! I love the “Coffee is the best thing to douse the sunrise with” and “I think if I were a woman I’d wear coffee as a perfume.” 😀 These are great! They are great ones! 🙂 Coffee and the sunrise will be an even greater combo soon with cooler Autumn mornings ahead.